The feedback I have received from QF32 readers has been profound. By far the greatest surprise I have had when reading the responses is to discover how many people are afflicted by their own version of Post Traumatic Stress (PTS). Many stalwart friends have contacted me to pass on their own personal stressful stories that they have kept private until recently. One friend’s father only a few months ago revealed his reoccurring memories and nightmares of action (where hundreds of men drowned) during World War Two; memories that he had held only to himself (and away from his two wives and children) for the last 67 years. He died three months after pouring out his heart to his daughter. I found your book inspirational, logical and very moving at times. I too have suffered acute PTSD through work and have been in remission for more than 2 years. I appreciate your honesty and having the guts to hold your hand up and seeking appropriate help and treatment – well done. My husband a [removed] pilot lost an engine on takeoff out of [removed] after the engine ingested a tyre. He had at least half the front bench of Parliament on board including [a prime minister], he managed to get the aircraft, a DC9 around, and get her back in, he has always said if he had pranged he would have caused Australia’s politics probably to take another course! His crew went back to the Hyatt, and got legless from the shock, and he has never forgotten it, he knows how you feel. He is retired now, but he still gets the shivers about it sometimes, one engine, full fuel, full PAX and hills all around him. 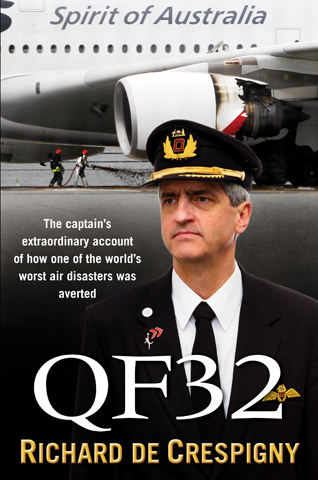 I am a 25 year QF veteran and worked with the duty engineer, so can I imagine what was going on during your QF32 incident in H271 and flight Ops. Another writes: Hi Richard. 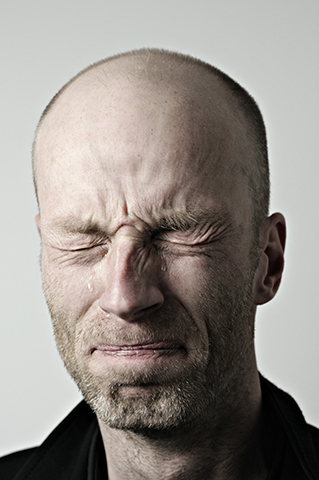 I read your recent article with interest and say that I can relate to your emotions. 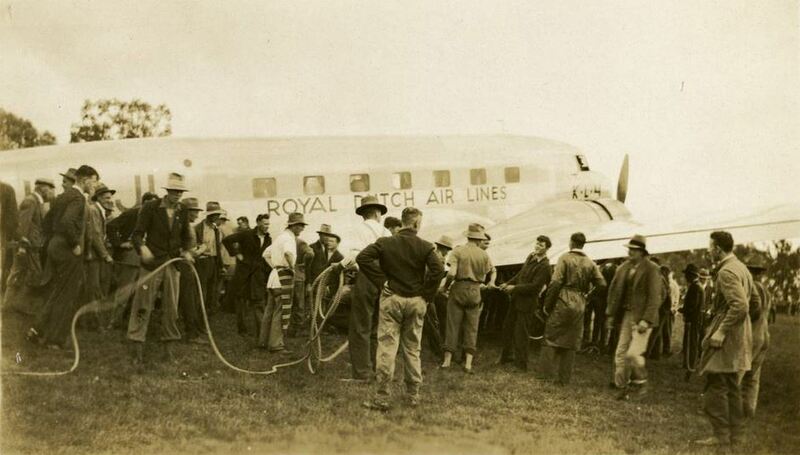 (I was the [pilot] of a DC3 which ditched into Botany Bay in Sydney…. Yet another: I really wanted to pass on my thanks for your honesty in QF32. I’ve always seen commercial pilots as being bullet proof professionals that handle enormous stress in their stride. Earlier this year I was diagnosed with severe work related stress and then depression. Through a lot of work and support I am just about back to full working order. Your description of the impact of stress during the flight and the post flight impacts was something I could really relate to. You described the symptoms in a way that I couldn’t. Most of all it gave me some real insight that others suffer the same impacts, even when you believe them to be immune. Again my thanks as your story has played a positive role in my recovery. Yet another: I was surprised to read about your post flight problems but I do understand PTS. When we next meet, we should talk on this point. I had some rough periods: (post Vietnam; after we lost [pilot] in his [aircraft] along with the rest of his crew and about 23 passengers in New Guinea; and after we lost the B707 at [location] in 1991. Unfortunately, the dreams (which do not reflect reality) go on for years, perhaps for the rest of your life. I don’t want to suggest that PTS is a disease – because I think it is not. I think PTS is a human condition that can be managed and resolved by simple processes of understanding it and then confronting it, but NEVER by ignoring or hiding it. It’s not that hard! Death and stress is inevitable – so we should all be trained to understand how to manage stress ideally before it besets us. Maybe one day we will all be trained to understand stress and how to handle it in much the same way (and at the same time) we are taught about the “facts of life”. The interest in PCM (QF32 p 313) is extreme and I am glad that my exposing my experiences might help others. I am not a psychiatrist nor a psychologist, so please excuse me for branching out of the QF32 discussion into these professional areas – I do so only to offer help to those pilots reluctant to acknowledge the effects upon them of their experience. I have discussed PTS here only to bring it out into the open and expose how many of my friends suffer from it. I hope readers of this blog recommend any sufferers of PTS be referred to professionals who are well versed in the treatment of these conditions. For those in Sydney, Australia, I am happy to recommend the person who helped me: Dr Ronnie Zuessman PhD [T: 61 (0)2 9262 1900 M: +61 (0)429 111 900]. 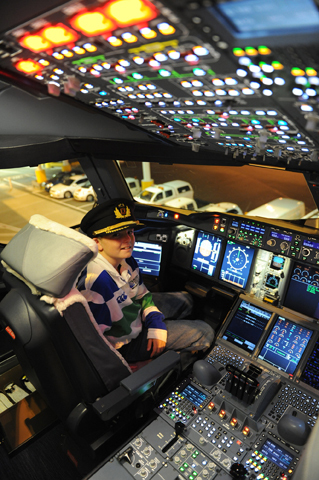 Flight Safety Australia:(September-October 2012) included an article about QF32 and PTS. I was approached by a young doctor at a CRM conference in Sydney two weeks ago who told me “I think this PTS thing is over-rated”. I think he missed a great opportunity to remain quiet. We can unravel the damaging aspects of PTS if we apply our knowledge of how the brain manages senses, memory and stress. Since the time I began discussing the QF32 event, I have discovered to my surprise that about half of our adult population suffers from some form of PTS. “The nightmares continue – every night” said a great friend and mentor after reading my book. Sully Sullenberger knows how I felt after my QF32 event. Sully experienced similar feelings after his extraordinary flight. He said “The loss of sleep lasted for weeks”. I have tried to comfort many pilots over the past few years who have experienced unfortunate events in the air. 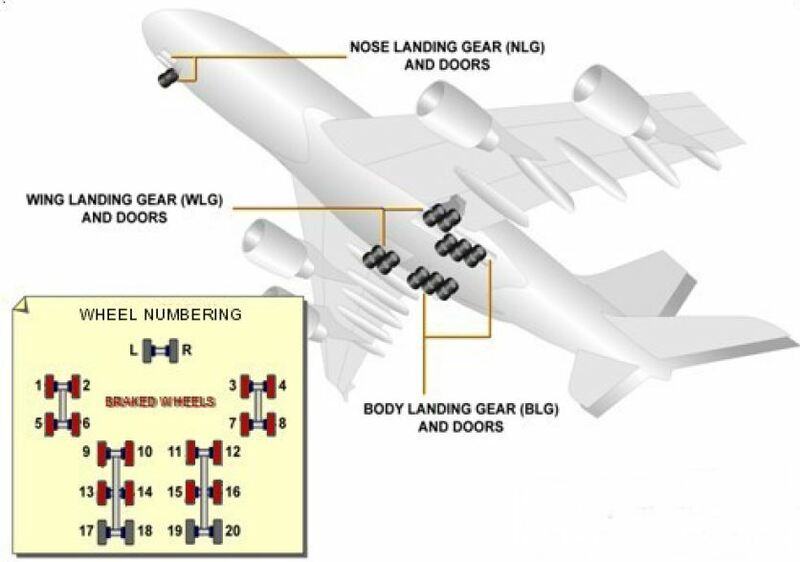 The events that my friends experienced might seem trivial to others, even to other pilots. 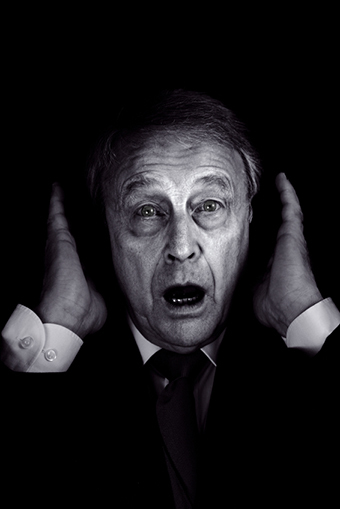 Survivors and observers perceive stressful events differently. The survivor might be confused or embarrassed by their reactions to stress and as a result keep these emotions to themselves. Survivors lock family and friends out of this inner thought loop. An “empathy chasm” forms that separates the survivor from the observer. This chasm explains why untreated stress ultimately manifests itself as PTS. The chasm explains why survivors suffer PTS in isolation, why the PTS is not treated and why PTS remains so prevalent in our society. The fifty percent of our population that has never suffered PTS is disconnected from and do not understand the other fifty percent of the population that has suffered PTS. For the “never stressed”, it’s difficult for them to comprehend why the others do suffer PTS, how it affects their behaviour, and how to help them recover. I’ll try to address these issues in this article. I am not a neuroscientist. I am fascinated by this subject, and research it as much as possible. I am keen to understand as much about the human mind in relation to thought, consciousness, reasoning and prediction. However I know no more about this subject than any other interested layperson. Please accept my comments below as only hypotheses. I welcome any feedback to correct any errors. The tools that we need to treat PTS become apparent when we understand how the human mind handles stress and why it helps us to survive. The human mind is designed to be be observant, be aware of our situation, be critical, create what-ifs, identify threats, conjure conspiracies. From this soup of awareness and consciousness, our intelligence mind then predicts our future and how best to prepare for it. This is the human’s engine for survival. It is also the engine that manufactures stress. Our ability to understand PTS and to help PTS sufferers is improved when we understand why and how the mind creates and stores stressful memories. Humans have evolved to function when disaster strikes and we face the unexpected. Our body instantly adapts to face and counter grave threats. Extraneous senses such as pain are inhibited. Our few critical senses now get all of our mind’s attention for awareness, thought, reasoning and prediction. Our mind’s “body model” is altered to remove any limitations. Our “fast brain” narrows attention to focus on just a few parameters, all other parameters are inhibited. If our fast brain was a large busy and noisy crisis centre with the walls lined with hundreds of screens and panels, then at this moment of crisis the room becomes quiet and dark, lit by only a few critical screens showing us what we need to see and quiet except for the sounds that we need to hear. What we sense now forms the narrative for nightmares. The streaming tape recorders and backup systems in the crisis centre record only the few parameters that are exposed. With few parameters to record, the recording sample rate increases, forcing these details deep into our memory, and cross-linking them with the dreadful fears and emotions that we associate with this event. Irrelevant details are jettisoned. Our body has reconfigured for survival. Our mind has conjured threats which are all that is visible on the monitors on the walls of our crisis centre. Our perception of the environment and time narrows. Our awareness and perception has narrowed to consist only of these senses. We become “tunnel visioned”. The higher sample rate of limited data makes us perceive the crisis in slow motion. The mind has instituted its Crisis Management Plan. The plan requires multiple tiers of crisis teams working together: Crisis Executive, Crisis Managers, Crisis Immediate Response and Crisis Workers. Fortunately the human brain has four centres that function in a similar hierarchy. 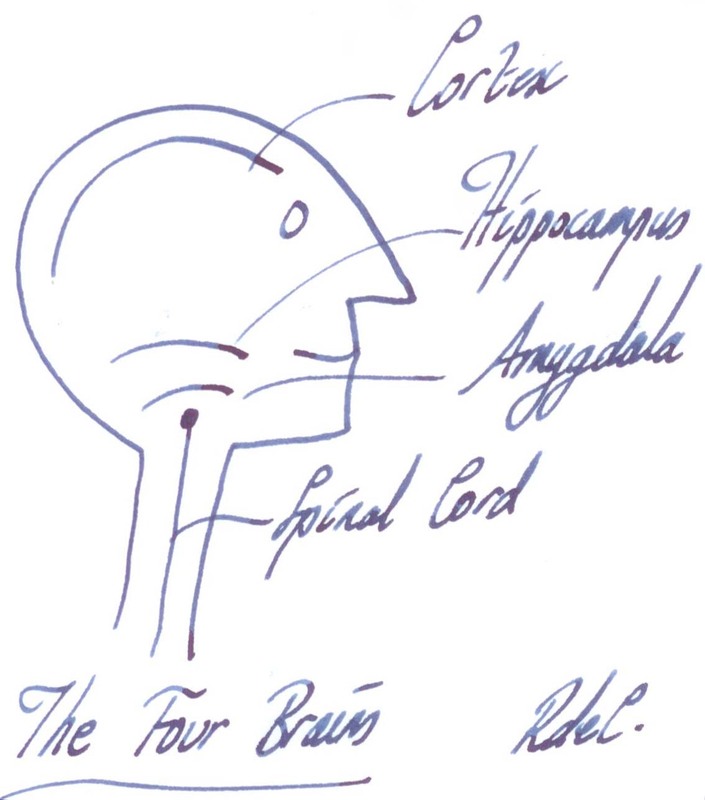 These centres are located in the Spinal Cord, Amygdala, Hippocampus and the Neocortex. The Amygdala (crisis immediate response) is the first to respond. The Amygdala first causes Adrenaline and Cortisol to be released to physically reconfigure and prioritise our body’s energy, systems and defences. Uninhibited by higher parts of the brain, the Amygdala then responds by commanding a response of flight, fight or play dead. In fact these three survival instincts are the only solutions that exist for creatures that have no brain functions higher than the Spinal Cord or Amygdala. The Amygdala defaults to flight before fight or play dead. The Amygdala’s response can be inhibited by higher reasoning in the Hippocampus and/or Neocortex. The Hippocampus is our fast mind. The Hippocampus is like random access memory (RAM) in our computers. Instinctive behaviours reside in the fast mind. We live our consciousness in the Hippocampus much like data we press keys on our computer keyboards that are stored in RAM and not saved until we save the file to the solid/hard disk memory. When we dream at night, the Rapid Eye Movement (REM) phase of our dreams is the process (we experience as though it were real) where our Hippocampus resolves what experiences should be committed to long term memory, what experiences should be jettisoned forever, to make synapse linkages (re-index) then to free space (defragment in computer terms) the mind. Long term experiences are stored in the highest part of the human mind, the Neocortex. The Neocortex is our slow mind. 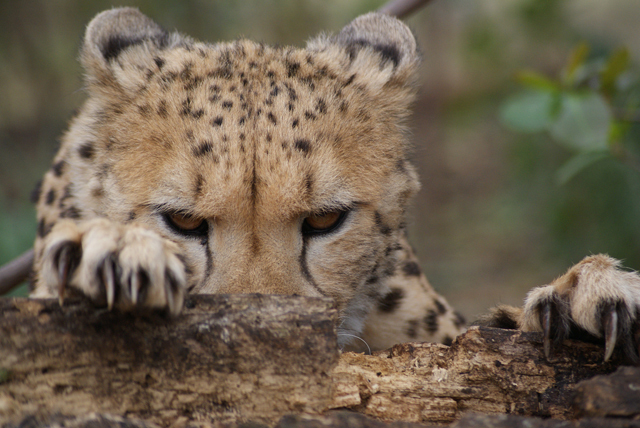 Mammals have a Neocortex, where the sum of our learned existence; our knowledge, experience, thought, awareness and reasoning are all encapsulated in the three millimetre thick outer “bark” of our brain where trillions of neurons interconnect with hundreds of trillions of synapses. We start our lives with a Neocortex that is similar to a formatted but empty hard drive on a computer. The Neocortex can only reason what it has learned from past experiences. Human consciousness resides in the slow mind. This explains why our body often reacts instinctively to a sense up to half a second before we become conscious of that sense. Returning to our stressful situation, the Amygdala first responds to stress by commanding “flight”. In today’s technical world, the Amygdala’s natural responses are legacy responses. The “flight” might be the ideal solution to the threat of seeing a pair of eyes in the long grass at a distance, but it is not the ideal response if we are driving a car, flying an aircraft or if we are a surgeon undertaking open heart surgery. In many cases the Amygdala’s responses must be inhibited. This is the role of the higher mind functions contained in the Hippocampus and Neocortex, two observers in the crisis control centre described above. The Hippocampus has the first ability to inhibit the Amygdala. If the Hippocampus has the ability to resolve the situation then it sends an inhibitory signal to the Amygdala. The Neocortex reacts slower than the Hippocampus. In our analogy of the brain in a computer, the Neocortex is like a hard disk with the neurones storing knowledge and the synapses giving a Google type search to all the data. These consciousness and reasoning skills come at the expense of time, so if the Neocortex has the ability to resolve the situation then it’s inhibitory signal reach the Amygdala well after similar inhibitory signals arrive at the Amygdala from the Hippocampus. These three parallel processes execute concurrently over the space of just a few seconds. Our awareness of all these thoughts, decision and actions will become etched as memories into our mind forever. The seeds of stress have been sewn. Later, after the crisis has subsided, just add water and watch the PTS grow. The human mind is designed to complicate the things that might appear simple. This is because critics and pessimists and conspiracists survive and outlive the trusting naive optimists. For example, we do not like people watching us. When we walk through a field, our ancestral mind is designed to react when we notice a pair of eyes at a distance amongst the long grass. Who is watching us? Is it a lion about to attack us? Those who run away from the eyes survive to question their actions on another day. Those who do not run risk of being invited to dinner. These behaviours are the result of our neurological evolution. This is our human condition, it’s who we are and it’s normal. Unfortunately these negative, pessimistic and what-if behaviours are also the catalysts to explain why we experience greater stress after bad experiences, why we exacerbate our reactions to stress, and why these experiences painfully burn themselves into our soul. PTS is real. PTS memories and stress are etched and rooted deep into our Neocortex where they remain ready to be triggered by any associated event (the smell of perfume, the sound of a helicopter, a picture of the Twin Towers). 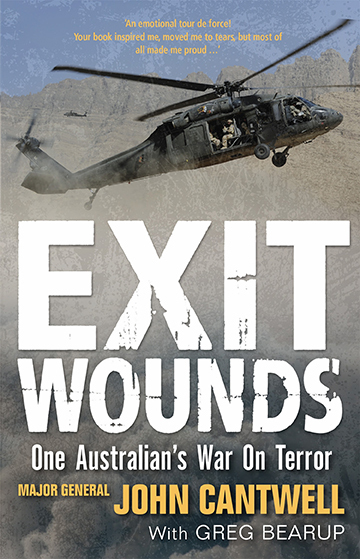 Exit Wounds. A soldier’s and leader’s journey into PTS by Major General John Cantwell. Synaptic links to PTS can persist until we die. These synaptic links can be so strong that they will not wither through abstention of thought about the event. Reliving the consciousness of PTS does not weaken the synaptic links to these memories, it strengthens them. Reliving PTS reinforces the PTS with potentially dangerous psychological consequences. Please PTS sufferers, seek help. You are not alone. Everyone who experiences a stressful experience goes through a transition period when the stress should be treated. Incident Response Teams and psychologists have solutions to help ease your stress. Your colleagues, friends and family want to help you and you will find it cathartic to discuss your problems with others. Seek the advice of others who have experienced similar stress. Ask them of their experiences, the consequences and for their advice. There are methods to reduce the effects of PTS. The treatments are designed using our knowledge of how the brain manages senses, memory and stress. They aim to weaken/break the synaptic links to the memories and thoughts in the Neocortex. There can also be growth from mental trauma. For the same reasons that business leaders can recover and grow from their business failures, so we can recover from stress and become more resilient as a result. I will write more about these topics in my next book. 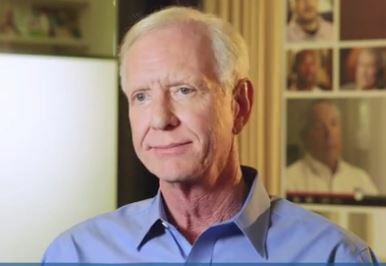 Sully Sullenberger has recorded a video in which he discusses the PTS that he suffered after his flight. Sully presents his PTS experiences in the hope that they will help others who suffer stress. Sully says that PTS can be treated, and for many the stresses can be relieved. Having just read your recent twitter posts on trauma care I would like to know where/if there is the chance to bring in own experiences to help others. During my former career in the merchant navy I have been through a situation where I had to lead a fire team into a compartment of the ship’s engine room which was on fire. One of our 4 engines had caught fire due to a ruptured fuel line and we had to enter the room using a breathing apparatus in order to check that the fire itself was extinguished by means of injected CO2. In this situation initially there was no feel of stress, however after 1 or 2 days quite a massive reaction set in on all of us. So the Company decided to fly in a specialised psychologist who would give us the help we all needed. This particular event taught me the immense importance of taking the symptoms of post traumatic stress very serious and deal with them appropriately. I would be more than happy if I could be of assistance to other people who went through situations which were stressful and serious for them. Is there any kind of forum or community where it is possible to do so? Thank you for your kind offer to help others who have suffered mental trauma. To other readers; Alex is not a psychologist or psychiatrist. However I think that the effects from the trauma and the chance to recover (if even gain) from traumatic events are helped by others who have been in similar circumstances and who can pass on their experiences. Alex please reply with contact details for those who wish to contact you directly. my apologies, it’s been ages since I’ve checked this particular side about PTS last. Of course here is my email address to contact me, should anyone who was or is in a situation that leads or might lead to PTS. If I can be of any help, I am more than happy to do so. Dear Captain, with the best wishes for a prosperous new year, I would also like to thank you for especially this article. Contrary to the young doctor’s opinion, I think the issue of PTS is UNDER- but for sure not over-rated. I recall a situation, when I was still working on ships, where we had a very very big fire on board on one of our engines. Being in command of one the fire parties I was required to enter the room first, a situation which followed me for about 6 months. Without professional help, a recovery wouldn’t have been possible, I’m convinced. So once more thank you for this essay on a very important subject! Dear Alex, Thank you for your support. PTS is the most discussed subject by QF32 readers. I hope we can help others who have or are about to suffer from this treatable condition.